Amongst the flourishing cities of the North County region of San Diego is the city of Escondido, the rock-ringed land. With a population clocked at over 140,000 in 2010, the city is one of the densest and oldest in the county. The name ‘Escondido’ means Hidden which goes to reflect the geographical uniqueness of the beautiful city. The land was originally occupied by Indians four millennia ago. These Indians resided in small villages, and hundreds of years later, Spaniards covered the lands and gave it a tone of their own. The mixed ancestry of the residents in the area avails the land with a rich and diverse cultural heritage. The past is embraced with reverential acceptance and future is forged with judicious devotion. The cultural and artistic diversity of the region contributes to its attraction for visitors and first-timers, this and the obvious allure of its wavy hills and valleys. As known of most cities in the United States, Escondido is pretty industrious and to this fact, she accommodates lots of firms and organizations of which the Legal sector is included. If you seek professional guidance for any legal need you may have, then you should most definitely reach out to the most competent establishment in the business. Rawa Law Group is a revered legal service provider in Escondido, renowned for their competence and their impressive streak of successful cases. We would like you to trust us with the task of bringing you the results you desire, but before we go further, we’d like to give you a few reasons why we are your best bet in Escondido. Being advocated for relentlessly represented ably and supported with a great wealth of passion and experience. Enjoy the many delights of boundless legal help, one that is thorough and well-thought-out able to avail you with all the skill and strength that your case needs. A series of consultation and evaluation appointments that are set according to your schedule. Our attorneys are prepared to meet you up at work or at the hospital in order to help you get your case started. Professional representation carried out with utmost adherence to ethics with no hidden charges. Regular updates and progress reports on your case. We run an inclusive representation that will keep you in the loop every step of the way. Our services can be relied on due to the multitude of successful cases we have handled in our two decades of existence. A defining quality in our approach to the cases of our clients is that we consider every single series of hearings and proceedings as a test on the founding blocks of our firm. We see it as another opportunity to put into work the various creeds that order our services while ensuring that our actions are channeled towards the attainment of the desired result. Our Escondido attorneys are complete professionals, capable of delivering on their promise to you and placing you advantageously for the most settlement possible. We aim to maximize your gain from the case in the most ethical way. We believe that outside the expertise of the legal luminaries committed to a case, the outcome of a series of proceedings is also hinged on the much the claimant understands about their case as this will help them make informed actions and decisions. At Rawa Law Group, we have devoted ourselves to ensuring that our clients are well aware of the decisions they make by giving them a clear enlightenment on their case. This is achieved by means of sessions of consultation which of course would be set according to the schedule of our client. This consultation is offered free of charge to every client of ours, as they make their procession towards getting justice for anything they have been through. We go further to offer our actual attorney-to-client service on a ‘No Win, No pay’ basis where we do not get paid until we have won your case and secured a settlement for you. Our aim is operating such a system is to ensure that our clients are unperturbed by financial concerns in their bid to get a reputable lawyer for their case. Do note that we have no problems visiting you at your office, home or hospital, as the circumstance may be, in order to get your case evaluated and your representation started. We are the group that keeps on giving in terms of quality and thoughtful service. Despite the thousands of legal firms that are strewn all across the city, it is always good to entrust the dear outcome of your case to the hands of individuals who are not only trained but proven professionals with a great track record of excellence. Rawa Law Group has stood for over two decades as the monolith of legal excellence in California. In our twenty years of service, we have delivered settlements valued over hundreds of millions to our clients. This feat speaks volumes of our competence and experience through the years. Our attorneys have a combined experience that goes over 50 years serving the good people of Escondido in various legal actions and suits. With our formidable team of competent attorneys, a great group of support staffs, the resources and all the good will your case needs, we are the best bet you have to get the results that you desire. We are committed to ensuring the proceedings go on smoothly, and that the negotiations are done with your best interest in mind always. Get the very best Escondido attorney for your case today, Rawa Law Group is that experienced and capable team of legal luminaries what will help reel in the outcome that you are looking for. 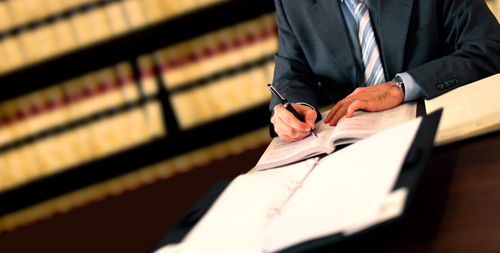 We will bring you the tenacious representation your case needs in order to get you ahead. Our team is more than ready to serve you, do kindly stop by at our office or call our toll free number 1-844-444-1400 now to schedule a meeting.